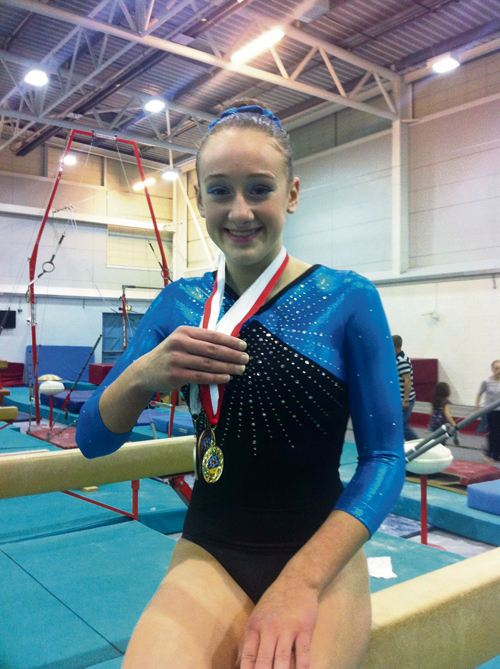 A Filton gymnast has overcome injuries to be named among the top four performers in the South West. Paisley Boyce, a Year 9 student at Abbeywood Community School, has been training as an elite gymnast for eight years and is the current Bristol County MOD/FIG (modified competition rules as set by the Federation of International Gymnastics) champion for ages 12/13. Recently she gained second place at the regional Grades championships which guaranteed her 1 of 4 places on the South West team. Girls from the entire South West region were in contention for places on the team which will now compete for the British grade 5 championship title in Birmingham this month. Paisley, 14, lives with her family, dad Brett, mum Rebecca and brothers Harvey and Finley in Conygre Road in Filton - and they are very much part of her success, helping with transport to all ends of the country for contests, as do her grandparents. Paisley is no stranger to the British grade championships and has represented the South West on four previous occasions, bringing home three national medals - 1st place on beam, 3rd place on uneven bars and bronze medal all around. She trains at one of the top clubs in Great Britain, Bristol Hawks in Easton and she trains on average 24 hours per week. She said: " I give up basically all of my free time to train and when I’m not training I am concentrating on school or homework. I really hope I can achieve my goal of reaching the British junior and senior championships in the future and I wouldn’t be in the position I am now without the support from my family and my coaches." Mum Rebecca said: "Paisley has overcome many injuries through the years and has worked hard to progress through the British gymnastics system." Paisley is part of a very talented sporting family with boxer Harvey, 15, having represented the Western counties and Finley, 12, a goalkeeper who is signed for West Bromwich Albion.